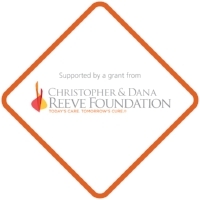 Specializing in Activity-Based Spinal Cord Injury Recovery, we are the only non-profit paralysis recovery center in the Midwest to become an approved Community Fitness & Wellness Affiliate of the NeuroRecovery Network, supported by the Christopher & Dana Reeve Foundation! Xcite provides over 40 FES evoked task specific, strengthening and gross motor training activities. Opened to the public in May of 2008, NextStep Kansas City provides lifelong health and recovery for people living with paralysis. Today, most of these individuals are deprived of the resources they desperately need to continue their recovery efforts and live as independently as possible. Based in Overland Park, KS, NextStep Kansas City is a state-of-the-art paralysis recovery center, that is dedicated to meeting your recovery needs with cutting-edge training techniques. We believe that traditional approaches to therapy can be further enhanced, allowing clients to get more out of our facility. Our approach uses intense, activity-based interventions, and equipment, that are backed by research and expose those affected by paralysis to the most forward-thinking rehabilitation in the industry. By offering the state-of-the-art equipment, world class trainers, cutting edge therapies; our centers provide the best chance for recovery, independence, and health. NextStep Kansas City is an affordable, state-of-the-art, community-based paralysis recovery and fitness center. By offering standardized activity-based therapy programs and interventions, based on research; our centers provide the best chance for recovery, independence, and health. In June 2005, Thomas Eddy suffered a spinal stroke, from T2-T6, leaving him a paraplegic. Thomas has always been fortunate enough to be able to accept life’s challenges, and make the best of any situation. He understood that change is inevitable, and growth is optional. On June 21st, 2005, he was given the opportunity to prove that statement to be true. That morning, he left his house walking, and by that afternoon he was paralyzed from the waist down. His desire to never give up motivated him to continue to look for more aggressive ways to challenge his nervous system. Realizing there were very few options in Kansas City, Thomas decided to take matters into his own hands. In May of 2008, he was able to open the doors of the region’s first dedicated, spinal cord injury recovery center. In an effort to continue to help people living with paralysis, improve and enrich their lives, through the use of state-of-the-art recovery methods, motivation, and education in a supportive environment, the organization sought to find an identity that would really help grow its roots in the Midwest. After 8 years of serving Kansas City’s SCI community, under our former name, we believe we have truly found a partnership that will help to change the face of activity based recovery, for all neurological conditions, throughout the region. Our new partnership with NextStep will undoubtedly help us continue our mission of delivering the best, most aggressive, state-of-the-art recovery program for years to come! Individuals suffering from paralysis including; spinal cord injury (SCI), stroke, multiple sclerosis (MS), traumatic brain injury (TBI), cerebral palsy (CP), Parkinson's disease, and other neurological conditions. Gait Training allows individuals living with paralysis to repetitively practice standing and stepping using body weight support. In a therapy session, the participant is suspended in a harness over a treadmill while specially trained therapists move his or her legs and body to simulate walking. As the person gains function, improvements in sitting, standing, reaching, grasping or walking occur. Guided exercise consists of 1-on-1 or 2-on-1 activity based therapy with our certified therapists. Our trainers will work with you to promote functional recovery and improved health. We are committed to giving every individual the opportunity to access our services. We offer several fundraising and financial assistance tools to help our clients make their recovery goals a reality.